Soundbite: Niall Wynn: Proper Order Coffee Co. I read this article and found it very interesting, thought it might be something for you. 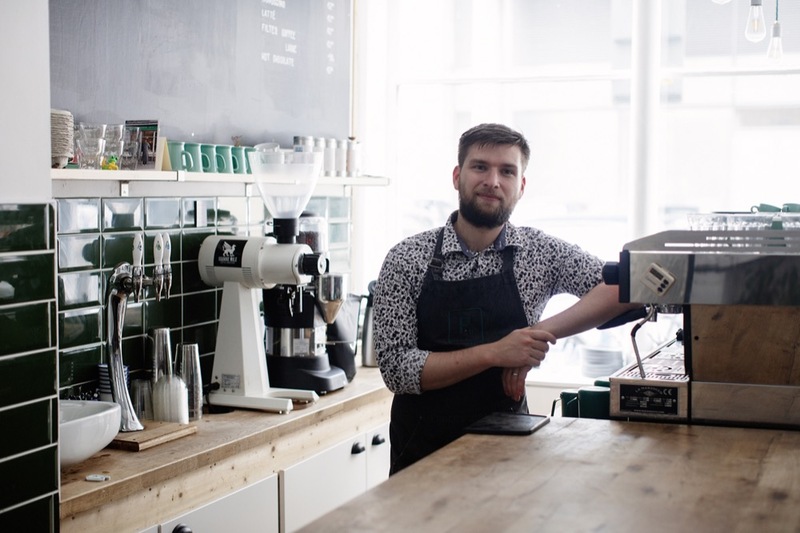 The article is called Soundbite: Niall Wynn: Proper Order Coffee Co. and is located at https://www.totallydublin.ie/food-drink/food-drink-features/soundbite-niall-wynn-proper-order-coffee-co/. 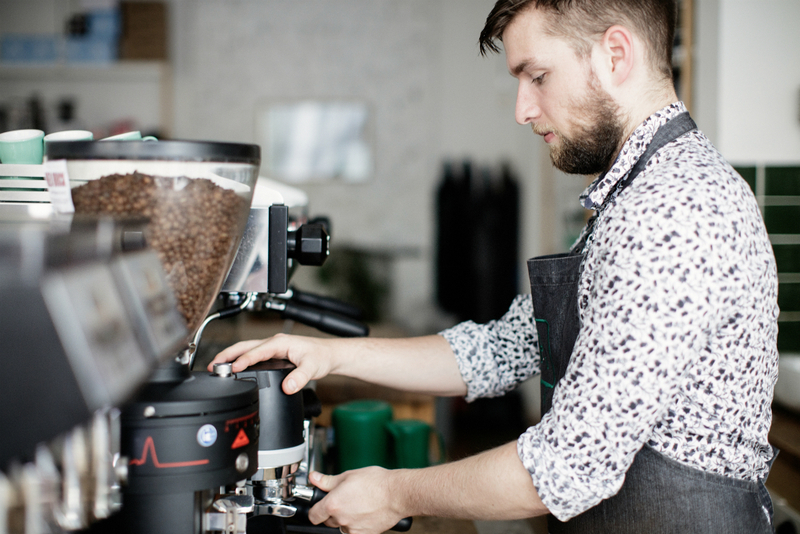 We catch up with former Irish Barista Champion Niall Wynn to get an inside perspective on the secrets of a good brew and to learn more about the business he runs in Smithfield with wife Ali. Niall tell us a little about your background, and how you first became interested in the world of caffeine. I was on my way to being a school teacher, teaching science to secondary school kids, but I realised pretty quickly it wasn’t for me. I decided to get a job working in coffee and it turned out that I really liked it. I have pretty strong feelings about how I like things to be, and that kind of drove me to have my own café, not that I wasn’t satisfied with what everybody else was doing, but I thought that there were different ways of doing things that would excite me a bit more. We’re coming up on three years old now, and when we first moved into Smithfield only about 50% of the units were open. With a lot of tech offices and big animation studios, I knew the people working around here would appreciate a really good cup of coffee. I learned my trade in Coffee Angel and we always made sure that we had a really good high quality, efficient service for people. When you’re dealing with professionals you have to be as quick as possible, so we took that ethos and decided to put our own spin on it. Where do you source the roasts you use? Our house roaster is Square Mile. They’re based in London and we know that the quality control procedures they have in place are outstanding. Because they go directly to the source to get all their coffees, they’re ethically and professionally very good people to deal with, and we know we’re never going to get a coffee that’s questionable. We also have guest roasters, so every month we deal with a different roaster from around the world. That’s an interesting process because we need to know a little bit about that roastery, and whether they are nice people or not, because it’s always better to do business with nice people! After that we’ll organise samples so we can get a really good idea of the quality of that particular roastery. There are fourteen or fifteen different places around Smithfield to get a cup of coffee and they’re all pretty decent, so we’re always triple checking to ensure that the quality is what we want it to be. Obviously I’m biased but I think our coffee is the best around! What have been the main challenges in getting the company off the ground? I started the company on an absolute shoestring, so that was a challenge in itself. We got a lot of support from a lot of people in the wider coffee community like La Marzocco, the espresso machine manufacturer, and Square Mile who had a lot of faith in us and really wanted to see us succeed and make a real go of it. To have support from people like that when you’re working with as little as 10k was amazing. You’re a champion Barista. What advice would you offer to somebody looking to make a great brew? I’m really old school so I always recommend using a French press or a stove top. You’re not going to get amazing brews out of bad beans, but if you’re already shopping in speciality coffee shops like Proper Order, Coffee Angel and 3fe the next step is to look at your water. Making coffee at home is between 90 and 98% water. If you are starting off on lousy water you’re going to get lousy coffee, so it’s a good idea to play around with different types of bottled water. It makes a huge difference. It changes with the season, but at the moment I’m pretty crazy for Kenyan filter coffee. We’ll only ever have the same coffee bean in for a month or two, and because it’s seasonal there’s a limited harvest of what we can get our hands on. We’ve had some really outstanding Kenyans coffees in lately, which is really good because Kenya as a producing region has really suffered in the last couple of years. What else do you have brewing at Proper Order Coffee? We have a second shop coming on Bow Street just at the back of the Jameson distillery. That’s going to be a big step for us because it’s going to have about sixty seats and a full kitchen, so we’re jumping into the world of food which is really exciting for us. We’ve built up an amazing reputation for coffee, but people have no expectation from us when it comes to food, so it’s carte blanche for doing something pretty amazing. Also my wife Ali won the 2018 Irish Brewer’s Cup, so she’s heading to Brazil in the next couple of weeks to compete and represent Ireland in the competition there. She’ll be in the cafe till 9.30 this evening brewing and testing and trying things out. Because we both work in the business there’s a lot of hours going in anyway, so a World Brewers Cup competition on top of that is always tough. We always need to plan a holiday for afterwards!